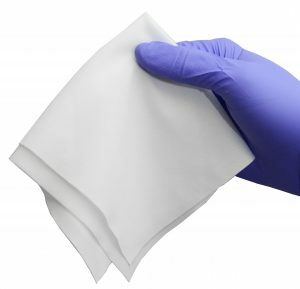 We provide high-quality nitrile and latex gloves great for use in cleanroom environments. Stocking a wide variety of ISO rating of gloves to fit your company’s needs – Give us a call for more information on 512-243-5762. Our naturally anti-static disposable nitrile gloves offer perfect protection from certain chemicals and higher tensile strength, providing a more hard-wearing glove. These Disposable Nitrile Gloves are powder-free and naturally anti-static. For use as a physical barrier where the user – or anyone they come into contact with – has a latex allergy. Powder-free and with NO natural rubber latex, suitable applications include general use in electronic assembly and manufacturing environments. Boxes of 100 ambidextrous gloves.